Legends beat Super 48 3-0 to stay in the title race ! It was a beautiful day on Sunday close to 20 degrees and no pollution. We had three legends taking part in the Shanghai half marathon in the morning before the game and all finished with decent times. Believe or not the same 3 turned up for the game after the half marathon which showed the spirit and commitment to the team ! Well done Max , Bob & Nicolas ! Last but not the least, Fred Fuseau, who just got a knee operation a few days back, was helping out on the side line. 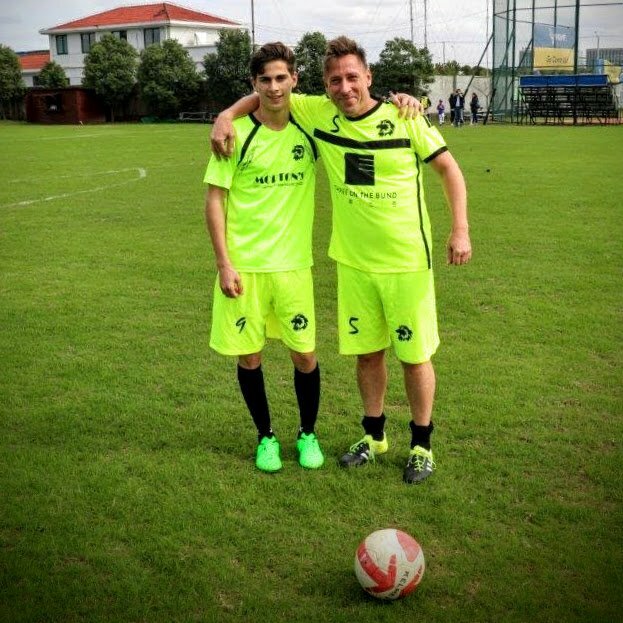 On the pre-game highlights, Matze had the unique chance to play a game with his son Victor who was visiting Shanghai; Big John played his first 80 minutes for a long time & Adil made his debut in the Legends team ! It was a must win game for us and hopefully we could score goals to work on our goal difference. The first 20 minutes we had to warm up & some Halloween liquids were still in some players legs. However we created a few good opportunities… best came from James after a great build up but Super 48 goalie stopped this great effort. In the second 20 minutes we brought in Bob and Nicolas to have more fire power upfront and it helped as we got a penalty rewarded after a foul on Bob. He didn’t hesitate to step up to take the penalty kick himself knowing that (the other) Fred was on the side line watching… we were all happy to take a 1-0 lead. In the next 20 minutes we played better and better and started to create more and more opportunities. It was on one of those our President himself got on the score sheet one day short of his 53rd birthday with a cool finish after Super 48 forgot to clear the ball. In the final 20 minutes we wanted to score more goals and did that with a “aka Azzeddine” step over from our President which set up Matze’s son, Victor, to make it 3-0 for the legends ! We have two games to go and all four title contenders Japan, Emerald and Scotland will still play each other… Looking at our spirit we will never give up to clinch the title ! We tried to look for small passing possession games in the second half but it was not easy to find the motivated to push for more! By this win we made it to the semi-finals of this cup. On Sunday we had a hard game against Gremio a strong Chinese / Brazilian team. The game consisted of two completely different halves. 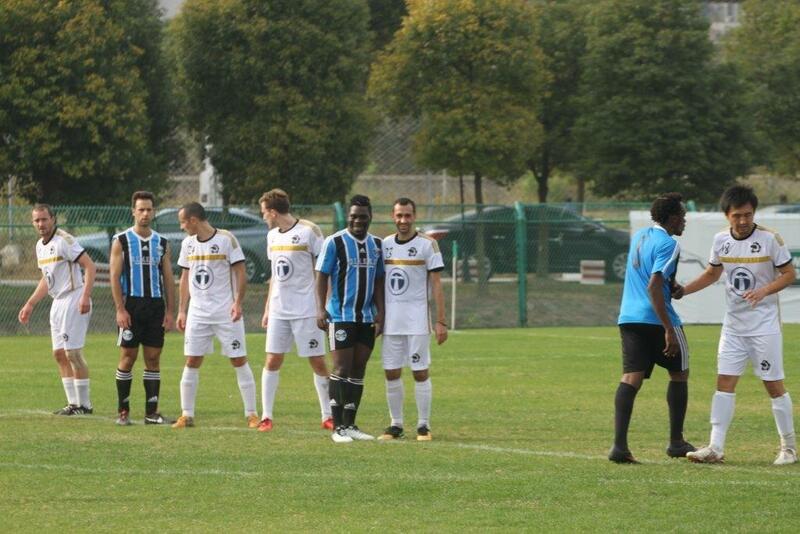 In the first half we found ourselves playing against only 9 Gremio players. We managed to get a quick goal from right back Francois who pushed forward and finished nicely. We tried very hard to score more and take advantage of the situation but we were not good in making the final pass or the final shot or header ! It was 1-0 at half time and in the second half Gremio had a full squad complete with three fast fit and furious African players ! It was a superb strike of one of them who brought the equalizer. There was nothing that Dim our goalie could do about it! We pushed Dave upfront and that move paid dividend as a fast counter and a good cross from Tomas C found Dave free in front of the goalie and he didn’t hesitate to score the 2-1. Now the game was on and we had to defend more and more and it was an off side hesitation that give Gremio the equalizer. We still got good opportunities to play on the counter and Cesar came closest only to see his shot hit one post and hit the other post, very unlucky!!! With 10 minutes to go we lost Nacho after the Chinese referee gave him two cheap yellow cards… We held on and in the end we could look back at a good second half! On Wednesday we will play the Dutch at our training pitch from 20:00 – 22:00 a win will put us on top of the SIFL. On Saturday we will play the Azzurri who will be in good spirit after they beat the Shooters 5-1 this Saturday. The veterans will take part on above 35 years old tournament on Saturday and we wish them success. On Sunday we have “el classico” in the SPL vs Marlins. Let’s try to get the best out of all these games stay fit and focused! October weather is always pleasant in Shanghai and perfect for playing football. Our first game of the new SIFL season was straight away one of the most important as we were facing DIB last year’s runners up! 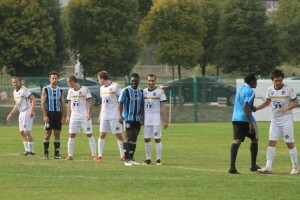 It was a 15:00 PM kick off which is not easy to stay focused before the game. However we got 17 motivated lions ready to start the season and everybody was on time. We were quite surprised that the DIB came pretty late and seemed to be more busy carrying boxes to the field than preparing for the game! Our strategy was to play smart and try to keep the game at a slower pace. We didn’t want to ignite the fire and although the first half must have been boring for the spectators it was all about a real tactical battle where each side hoped that one of their opponents would make a mistake. We got a few close calls but managed a 0-0 at half time. 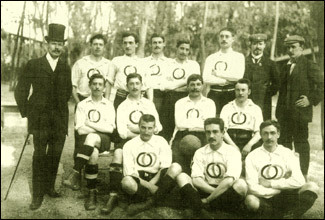 The second half was different because some of the DIB players were not as fit as all the Lions. Suddenly our season preparation paid-off, boot camps and friendly games combined with hard training session, gave us the edge. We found more holes in their midfield and started to play more counter attacking football. The reward game from a free kick. The spot was perfect but when I looked at the Chinese Wall I got scared all their players in the Wall were 1.90 tall. 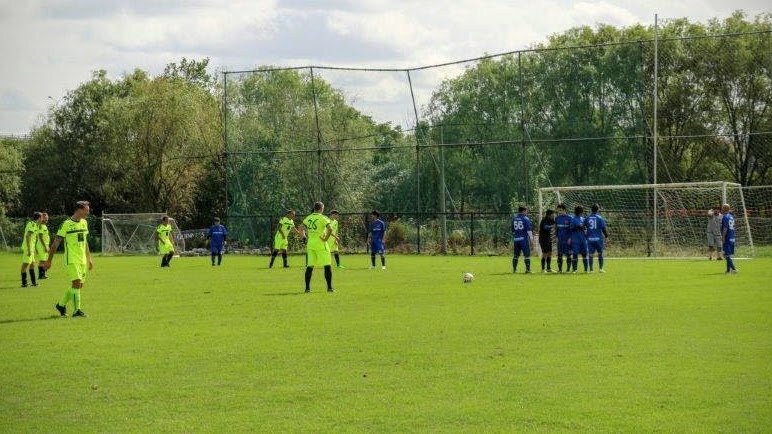 I like to bet against the odds and this time I asked our bench who wanted to bet with me as I claimed Azz would hit the wall……….nobody took the bet and Azz blasted it in the top corner when he saw the DIB keeper was out of position! We got several opportunities to score two/three more goals but we were not sharp enough yet. Our biggest asset on the day was our defense. We defended over 20 corners without threat and in the dying minutes of the game we got a few calls against us but we stayed focused. DIB got a free kick even closer to the goal than ours of Azz but they wasted it in the last minute of the game. I was really happy with our discipline and team spirit during the game. The bench whoever was on it were on their toes screaming to support the lads on the field. At one point I had to ask Charles not to scream that loud as I was afraid of earthquakes……! 1-0 it stayed and it was so important for us to start the season with a win! 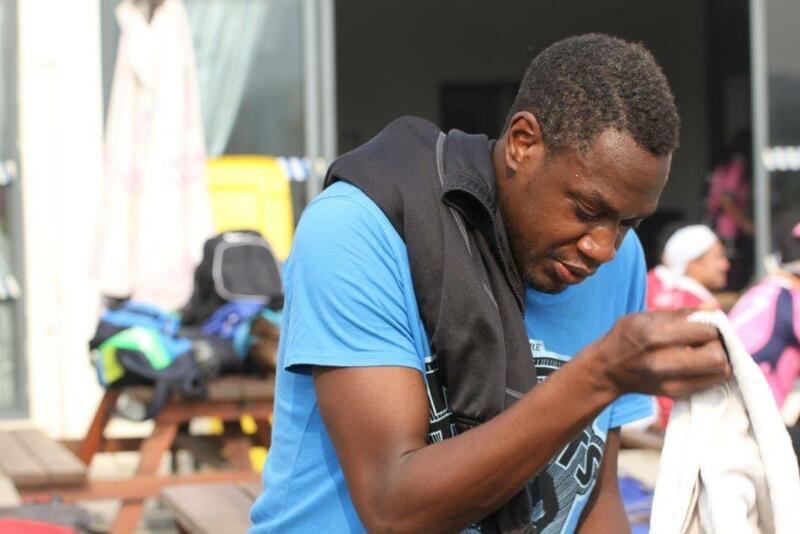 The next day the veterans were looking for a win to keep their first position in the League. Veteran play four small halves and after the second half it was 1-1 versus the Irish who stood out for their swearing words thrown on the pitch either to the referee, or us, or their own players. Our third quarter we played like real Lions and destroyed them 4-1! At the end we gave them two goals so that the spectators and assistant coaches were happy to come and support all the way in Waigaoqiao. Great result 4-3 win! Great weekend for the Lions! Key for all the Lions is the training and we urge that everybody attend the training this Wednesday / Please let us know on our website that you come so that we can plan the training sessions accordingly. 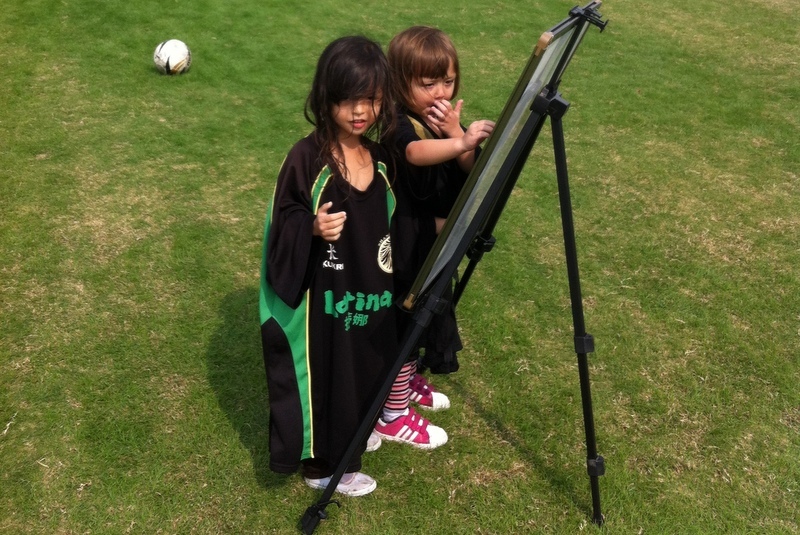 Our training sessions are the best in Shanghai! Lets keep our spirit high! Go Lions Go! Its time to prepare to defend our Shanghai Masters title! 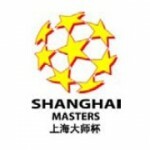 The Masters will be held on 7 and 8 September at Waigaoqiao. Same time and same place there will be the Lions Cup our first own tournament with 16 teams! The Masters for now is for players above 40 and allowed two above 35. 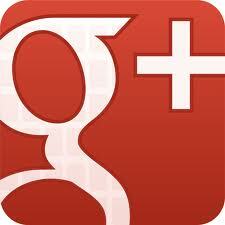 First of all we like to know whether you are available and it will help to let us know whether you are above 40 or not. This Master tournament is for players 40 years and older (within the year 2013) including 2 player age 35 or above. Maximum size for each squad is 12 players, to be registered prior tournament start as we have played the past 4 years. Same applies for the modus: Both Saturday and Sunday will be played in groups. 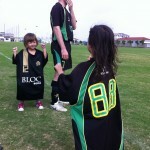 All be at the Shanghai Rugby & Football Club (www.shanghaifootballclub.com) on grass. Sunday, 9/8: 10am – 4pm: Second round games cup and plate groups, semi-final and final including trophy and medal ceremony. 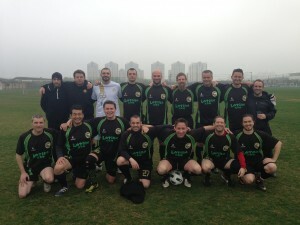 Shanghai Lions Veterans remain unbeaten! On Sunday 21st, the weather was better and even turned good in the afternoon! La “creme de la creme” of the Lions was ready for their third game. 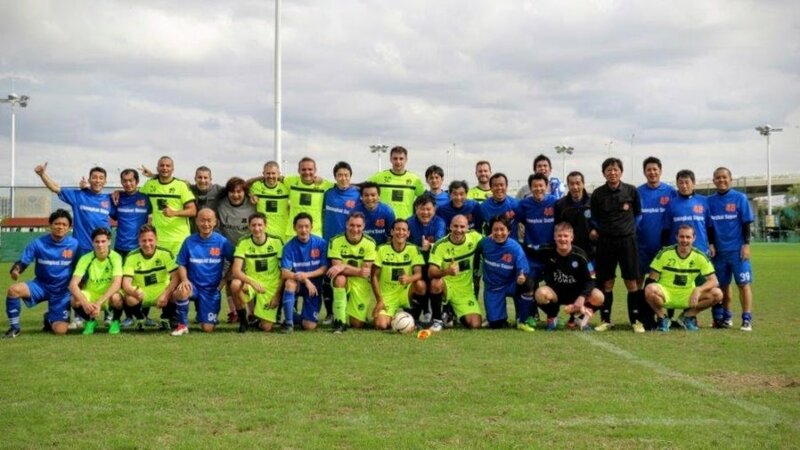 We were a bit low on numbers but with the help of Jack and Michael who looked very old on the occasion and having flown in Bibi for this game we were up for it against the 30 Japanese players of Super 48. Believe it or not but Charles scored a nice goal after 15 minutes. It seems he is more at ease with the veterans and performs better. Jeff out of all people scored the 2-0. 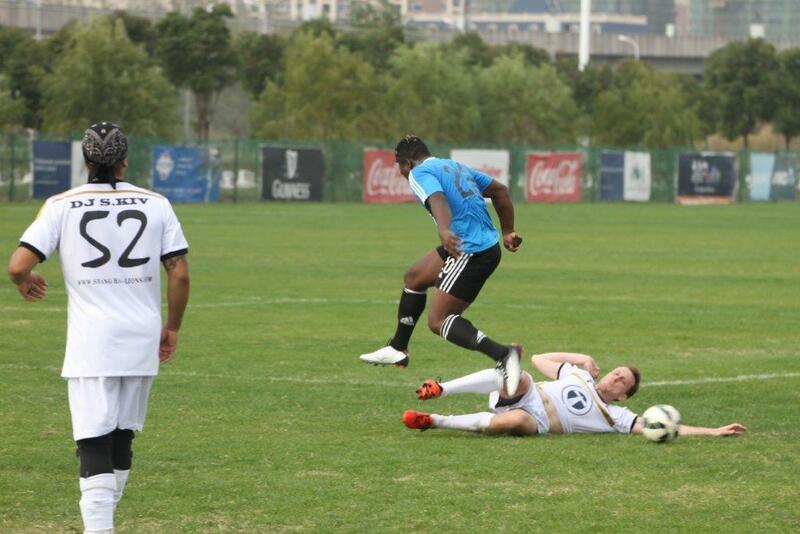 In the second half Charles scored another goal and he acted as if that was normal for him, well…….! Now the pressure was on el Presidente as playing upfront you need to score. Missing a few chances resulted in some good laughs but somehow in a scramble in the goal area he managed to put the ball in the top corner. Straight away he broke the record of the oldest Lion to score, 49 years old. Yamada-san (52) the biggest threat for el Presidente didn’t find the net but he did find one of the Japanese Super 48 players who received a good kick on his leg from the old master. 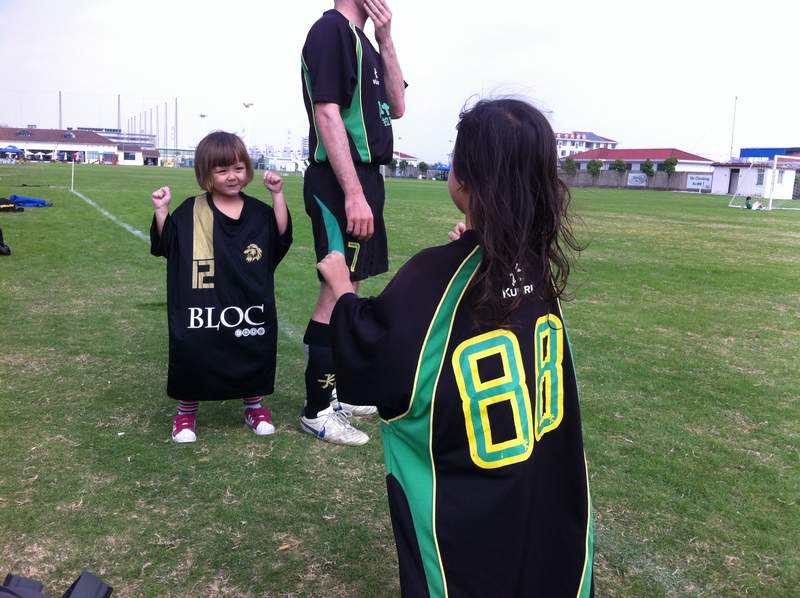 Bibi got himself on the score sheet as well and that was the end of morning of fun ! 5-0 win and with three game won its looking good for the Master Lions! 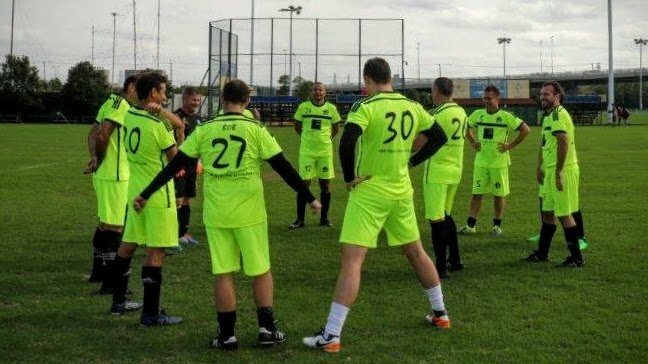 Next game scheduled on May 11th against the Welsh “Shanghai Plaid Cymru”. 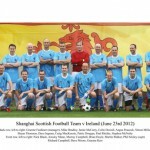 You can click here for complete information on Shanghai Lions Football Club Veteran Team, League Table, Fixtures & Results. Our “Creme de la Creme” Lions had an early game last Sunday at 9:00 AM at waigaqiao. The opponent the Bellewoods FC got a bit scared when the saw so many Lions showing up. Adam made his come back after two years not having played and Matze made his way back into the squad. On top Charles and Nicolas made their debut as a veteran. Dressing room talks are different for the veterans, most of the time its about “How are your knees” is “Your back ok ?” , “How are your kids?” ! From the start we dominated the game and played our usual Lions style with short passes. We saw some brilliant crosses from Thomas one of them straight from the corner flag ending up right into the feet of our oldest lion Yamada, who happened to be our left back…..!! Goals from Nicolas,Thomas and Fred gave us a comfortable 3-0 lead at half time. In the second half we played with only above 35 players and held out strong. The referee gave them a goal which was acceptable as we knew the game was in our pocket. So here we are even the old Lions are going strong and leading the veterans league ! Well done and great spirit on and off the pitch ! This coming weekend we have two massive games on Saturday we play DIB who are second in the SIFL and a win would put us 11 points clear. On Sunday we play Flamenkos a must win to stay in the race for the SPL title ! Please come out to watch and support the Lions in this important games ! Stay focused and train focused! I’m writing this email in English as we’ll have a German guest tomorrow. Somehow, it’s normal as in the situation they didn’t screw it up, we’d all be German now… We’ll also have an American guest. In the situation they didn’t screw it up as well… we all understand, right? Following my first communication, I thought it will be easier to get this team in place… Finally, I have sent over 70 emails and I have to admit that you’re the real ones. Thank you!!! Please let me know if any problem to attend. It’s important!!! I’ll bring some Pastis to be shared with our Scottish friends after the game. If some of you guys want to bring some pate, baguette or any french liquors, feel free to do so. 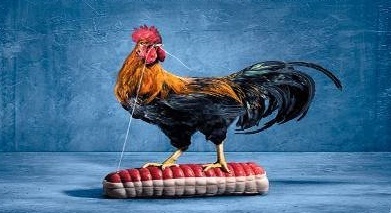 Mus is gonna take care of the cockerel and let’s have fun tomorrow. Any question, please let me know and/or feel free to share with everyone. Note: It would have been fun to look like our glorious ancestors… Guess it’s too late to grow the “Moustache” and tailor old fashioned equipment. Beware Scottish are ready, noisy with their crazy pipes and would probably win the “3eme mi-temps / 3rd half”. 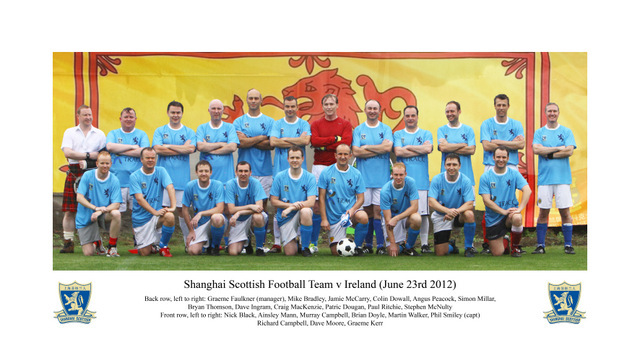 We’re organizing a friendly Veteran game on 15th of September against the Shanghai Scottish Football Team. Getting old or busy, we have not played together for a while and I’m taking this opportunity to call for “the old french legionnaires guard”. It’s likely that we’ll play 4 quarters and allow as many subs as each team want at the end of each quarter as some of the older guys will probably struggle in the heat…. Pitch and facilities are nice and perfect for a family afternoon. It means you can bring on wifes, kids and dogs. In term of entertainment beside the music, we’ll be able to watch the Lions playing again the Krauts from 3pm for the 1st game of SIFL season 2012/2013. They would need support and I’m sure people will be amazed by the overall team progress since few years ago. Scottish said they will bring a sheep while I asked Mus to take care of the cockerel! Team is mostly a veterans team (over 35s). 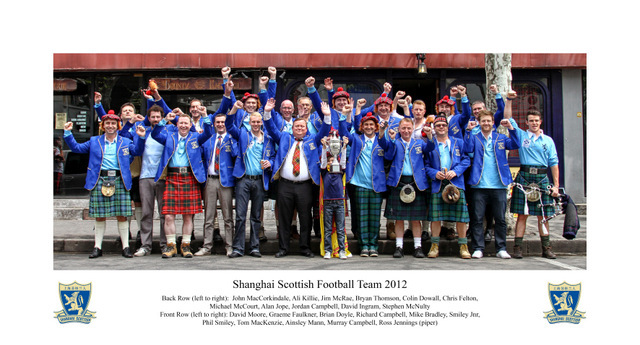 They have played the Shanghai English and the Shanghai Irish and will shortly play the Shanghai Dutch. If truth be told they prefer whisky to red wine and deep fried Mars bars to the fine cooking but they do have a great love of traditional Celtic music. In short, they would really like to take on Les Blues because they believe “Scotland are the ORIGINAL Blues”. Shanghai Masters, here we come! We had a couple of last minute cancelations from Malaysia, Australia Xiamen, Guangzhou and Beijing, hence we have 9 teams in this years competition only. Nothing to worry, your teams will be tired by Sunday afternoon! 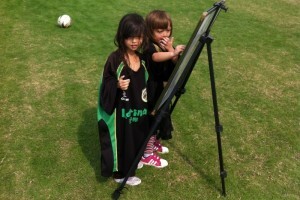 Shanghai Masters vision is active participation, plenty of playing time! Sat AND Sund games start at 10am and we finish at 4pm! Make sure EVERY team is on the pitch by 9:30am. Friday: 6 -9pm for all teams, sponsors, referees: Big Bamboo downtown, Nanyang Road. Shark tank area (go to the back and than upstairs) Carlsberg and Tiger beer and finger food. Also we will give you wrist bands for 30rmb drinks after 8pm when our keg went dry. Saturday: First game starts 10am!! 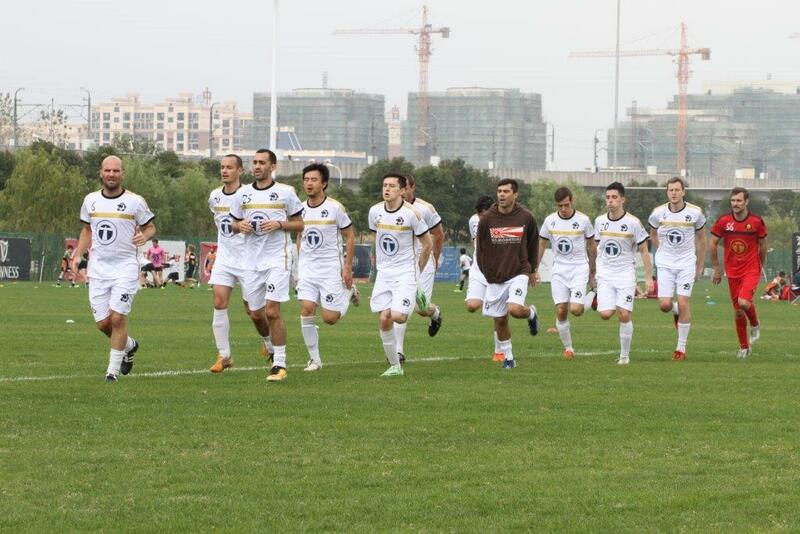 SRFC at Waigaojiao – all of you should know by now where the pitches are and how long it will take to get there. With 9 teams we will play a Round Robin 18 minutes straight games on 2 pitches. To keep the schedule we have only 2 minutes time between the games, please make sure you are ready for the next game. Games shall be done by 4pm. Do not leave the pitch – The beer is cold and we will crank up the BBQ’s. And we will make sure there is some free beer for all teams as well! Sunday: First game starts 10am!! 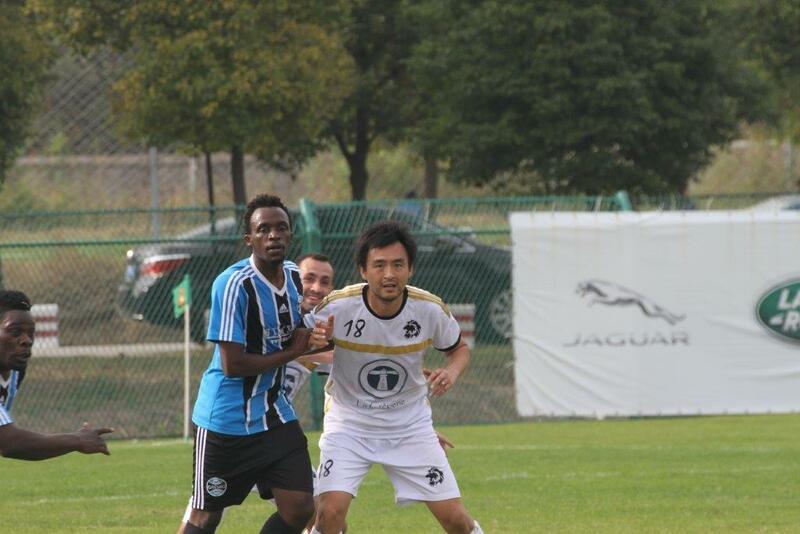 SRFC at Waigaojiao First 5 teams from RR Saturday will be in cup competition while bottom 4 will fight for plate. Again, games are over by 4pm. Trophy presentation and closing. Enough time for travel teams to make flights out of Pudong or Hongjiao. One important difference to previous tournaments: instead of receiving a yellow card the player in question will receive a 1minute suspension. This should help to better enforce fair play. Please read trhe rules and forward it to your teams. Lets have a wonderful weekend and lets enjoy it! Play fair and let the best team win. Thomas is leaving let’s celebrate this ! 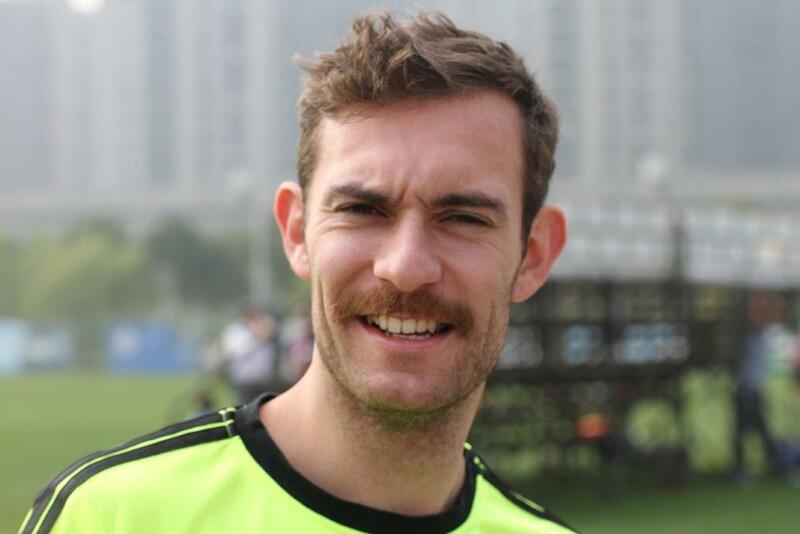 Our oldest goalie is leaving Shanghai ! We like to celebrate this at Enoterra, 343 Jiaozhou Lu 24th of August starting at 7 pm. Good occasion to see his 6 times broken nose one more time and share the great memories of him being the Lion goalie for so many years ! A French actress, Catherine Deneuve, said that “Friendship, like love, is hard work and requires a lot attention and constancy. Above all, it demands to know how to offer what is the dearest in life: TIME”. – Time to work, just a little for Tom and a lot for Amy. – Time to teach and to learn, from each other (sometime, the teacher learns more from the student). – Time to exchange (with or without any stock), to support, to discuss, to argue, to debate. – As tables are for friendship that beds are for love, Time for breakfast, brunch, lunch, teatime, dinner, supper. In a nutshell, sharing moments in life and enjoying them together as friendship is fundamental. 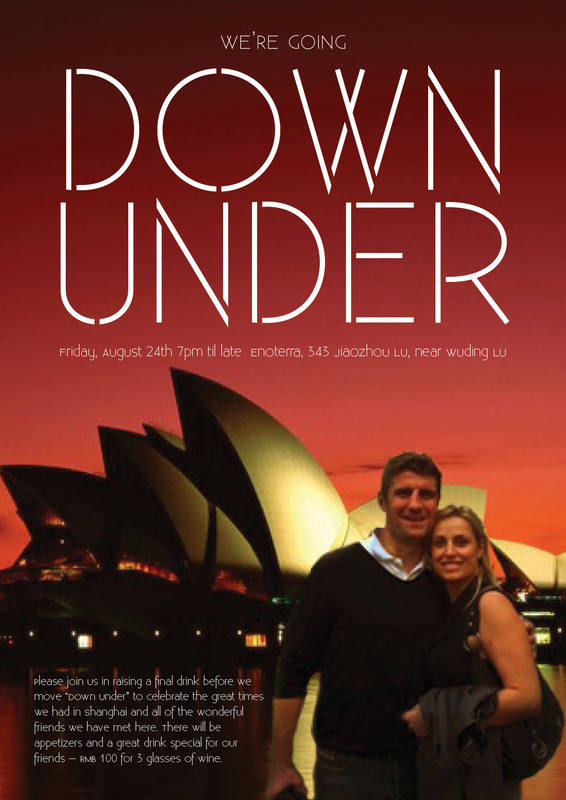 So, before we move to the land of rogues and kangaroos, let’s share one last big party. Look forward seeing you to get a last moment of Shanghai craziness.